Since we got requests to make the Chibi Extension already available (before the Master Bricks are in stock again), we just did that. We also tried to make some maximum range measurements, it turns out the manufacturer specification of 2km is not exaggerated. The first tests were done with the cheap small antenna. I did run around in the fields behind our office and annoyed Bastian by turning the volume of his PC up and down with a Linear Poti Bricklet. 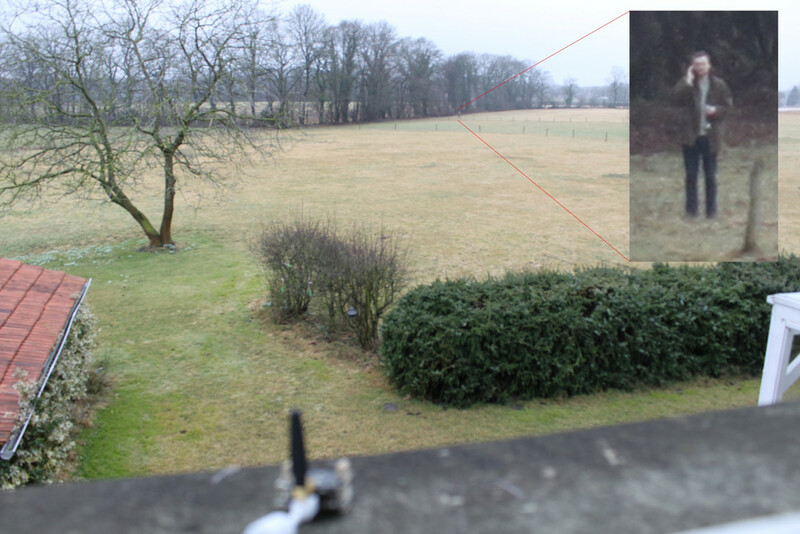 Even with the small antenna i couldn’t actually get out of range this way (as long as there was line of sight). 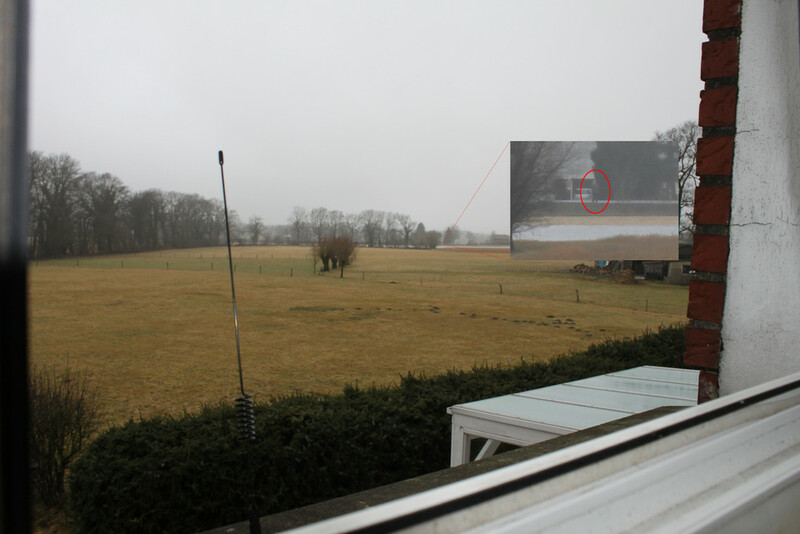 So, i drove of with my car to the next road that is visible out of our window, here we were actually out of range with the small antenna, but with the big external antenna we still had a connection! We are not 100% sure what the exact distance is that we tested, but it is quite far away and definitely further than we expected. We will just leave the “up to 2km” in the documentation, since that seems to be reachable easily. Indoors the range is as expected, one big wall with reinforced concrete is enough to interrupt the connection. As a rule of thumb you can probably say: If you have connection with WIFI from one point to another it should work with the Chibi Extension too, since Chibi should have a greater range than WIFI. All of the pre orders will be shipped as soon as everything for the delivery is ready. Thank you for your patience. There are new firmware versions (1.1.X) out for all Bricks and all Bricklets. All Bricks and Bricklets that we shipped after February 24th have the new firmwares already flashed. Bricks with old firmwares (1.0.X) are compatible to Bricklets with new firmwares. Bricks with new firmwares are not compatible to Bricklets with old firmwares. The Chibi extension will only be compatible to Bricks and Bricklets with the new firmwares. This means: If you already have Bricklets and you purchase new Bricks when they come out, you at least have to update all of your Bricklets. The IMUs that are shipped already have the new firmware version and they also require the newest Brick Viewer version, which was last updated today! The older Brick Viewers unfortunately already have an IMU plugin that was used for an early IMU prototype, it will not work properly with the IMUs that were shipped in the last days. Why all the new firmwares? One reason why it took us so long to finish the software for the Chibi Extension was a small design flaw in the handling of data. We had one main loop that triggered all of the processing tasks of the Bricks and of the Bricklet plugins every ms. These tasks would read out/calculate new data (e.g. reading out analog values and calculating human readable values) and send out a callback message if necessary (e.g. if a threshold was reached). This worked well with a USB connection. Now, with a wireless connection like Chibi, things look different. Even if two stacks (connected over Chibi) are standing right next to each other interferences and the long latencies will cause delays in the sending of callbacks. This caused everything that depends on timings to not work properly, since the sending of the callbacks would slow down the whole calculation process. For example the acceleration and deceleration functionality of the Servo Brick was all of a sudden not smooth anymore or the averaging of analog sensors wouldn’t work properly. A fix for this is quite easy. We now have two main loops, one for data calculation that always runs through in 1ms and one message loop, that sends out messages as fast as it can. This way there is as much data send out as possible and the timings for the calculations are always guaranteed to be correct. Unfortunately this meant that we needed to change the interface between Bricks and Bricklet plugins, resulting in the incompatabilities described above. First of all: Sorry for the long time we didn’t write anything. Unfortunately the circuit board assembly hasn’t started yet. As you might imagine, we depend on electronic component suppliers for our production. One of these suppliers managed to change the shipping date every time the old shipping date was reached, for over a month. Fortunately we have a tracking number now and the parts will likely arrive on Monday. The production will then be started immediately! The production times I wrote about in the last blog post are still true. We are terribly sorry about the long waiting times, we are very disappointed about that ourself. The IMU Brick and Chibi Extension implementation are both ready and tested now. The IMU Brick is available in the shop as of now! We will make the Chibi Extension available as soon as we have Master Bricks available again (Extensions are useless without Master Bricks).